World Philosophies in Dialogue: a Shared Wisdom? Martin Heidegger’s lecture in 1964 ›The End of Philosophy and the Task of Thinking‹ signalled a crisis and the acknowledgement of substantial changes within Western philosophy. Reflecting upon the concept of critical dialogue among World Philosophies (WP) can be seen as a corrective of this crisis and a novel advancement. 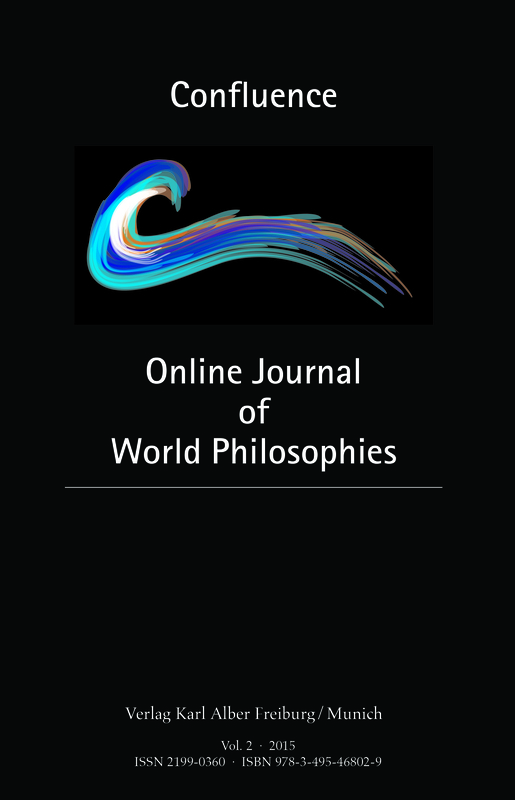 I aim to substantiate this by referring to the work of three authors: i) Jean-Luc Marion’s reflections on Heidegger will give us the chance to overcome a narrow understanding of ›philosophy‹ and the possibility of discovering »new horizons« for the discipline which are revealed as a »donation« towards »wisdom«; ii) Reyes Mate’s considerations on ›Thinking in Spanish‹ will offer, aided by Walter Benjamin, a concrete example for renegotiating the space and the place for those »excluded from thinking«; and iii) Paul Ricoeur’s meditation On Translation puts forward the ethical element of »linguistic hospitality« and transformation of the self when encountering alterity. While it is impossible to do justice to these authors in a short article, I maintain that their work deserves close attention because it depicts the struggle within Western philosophy on its way towards maturity: still entangled with so many challenges derived from its troubled history, this maturity appears only faintly, on the horizon, precisely, in the form of ›traces‹. On these grounds, I believe that Anglo-European philosophy can no longer postpone opening up to an indispensable dialogue with other systems of thought wherein the presence of WP and the renewed effort of many philosophers committed to this endeavour is recognised.